We offer one of the most powerful and flexible WebMail systems to all our customers. 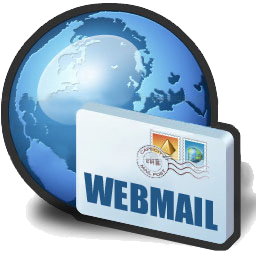 Webmail is one of our most popular features and is operated on a sophisticated hardware platform. This uses state-of-the-art hardware load balancers to distribute traffic to our cluster of Webmail servers. Your messages are centrally stored on giant disk arrays and backed up each day, first to another disk array and then to tape which is stored offsite. Microsoft Outlook can be synchronized with your Webmail account so that contacts and scheduler data can be shared between a desktop and Webmail client. If a user adds a new appointment (task) or contact while using Outlook or Webmail, the data will be automatically synchronized between the applications. Junk Mail Filters use special technology to strip out junk mail before you receive it. This feature also allows you to set an address to send the junk mail to so that you can check this address to ensure that only junk mail is being caught. Add mail boxes to your account. A mail box stores mail on our server until you download it using an email client like Outlook Express. Our mail servers support POP3 and IMAP. You can create as many folders as you need to easily store and organize your mail. Email Forwarding allows you to forward any email address @yourdomain.co.uk to any email address you choose. Create eye-catching emails using different fonts and colors or by embedding pictures and sounds. Why not add your company logo or a customized signature? You can easily attach files to your emails to send to friends, family or colleagues. Catch-All Email Forwarding allows you to forward ALL email from yourdomain.co.uk to any email address you choose, for example a hotmail or yahoo.com address.